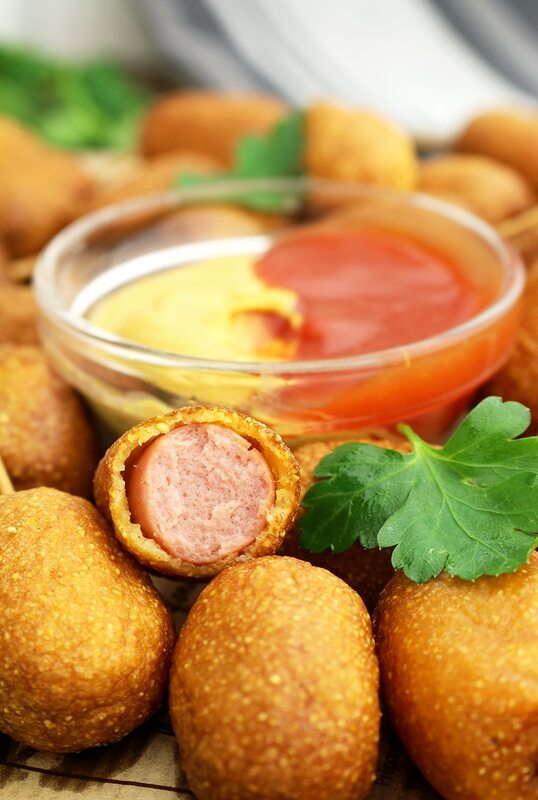 Here is our favorite recipe for Easy Corn Dog Bites. All football fans will really enjoy Super Bowl Sunday Party. 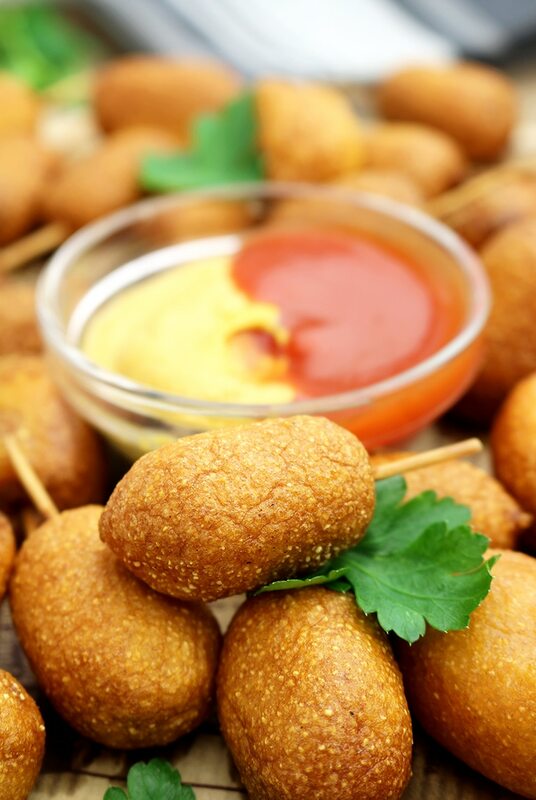 Quick and tasty bites are a great Game day appetizer or a quick dinner for the whole family. 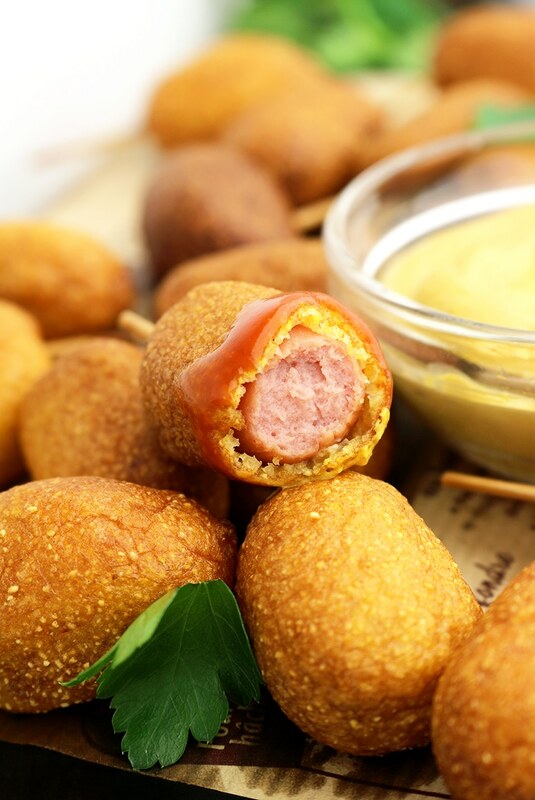 Common ingredients that you probably have in the fridge+ a little free time +a little fun = Easy Corn Dog Bites. 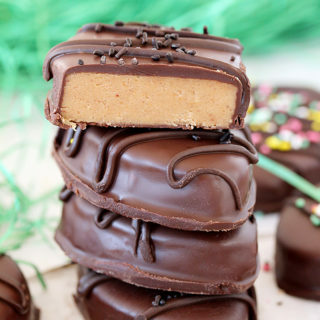 You can prepare them with your kids, it is a lot of fun and your kids will love it. My son likes to join me in the kitchen when I make Easy Corn Dog Bites. We have a lot of fun together and he ends up being very proud of himself, as well as I am. We all enjoy their taste, later. Serve them with mustard and ketchup. This recipe is with paprika and black pepper, which is our favorite combination. 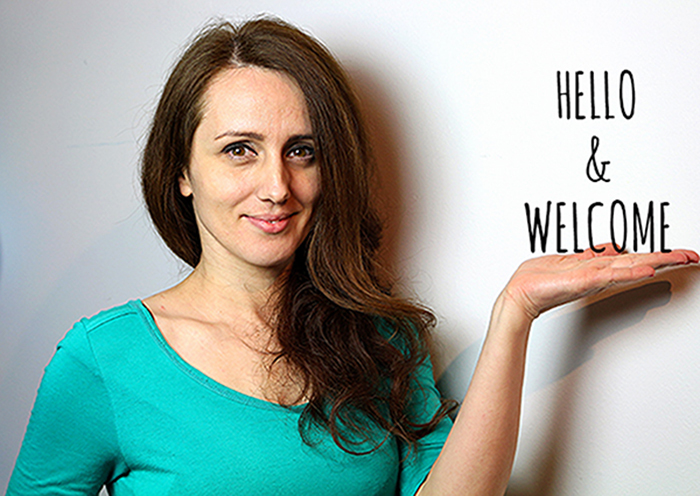 If you like to try something new, you can use some other spices, like chilli or curry. 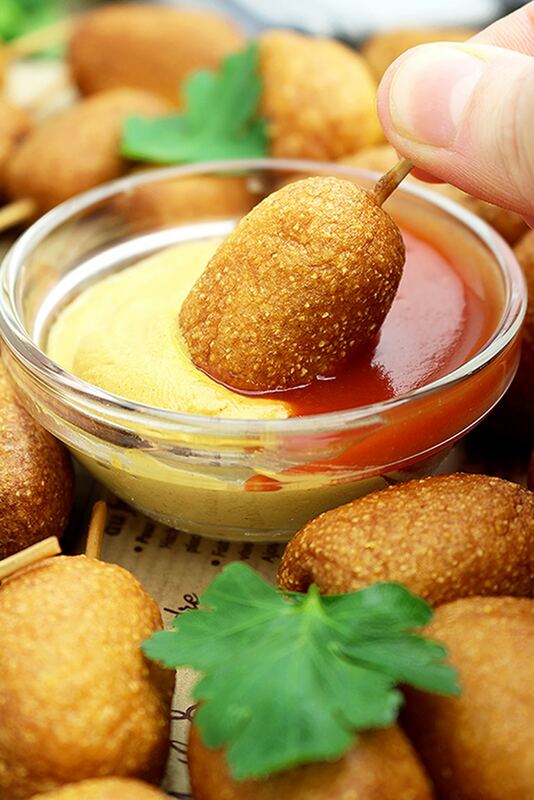 I am pretty sure that every kid likes Corn Dogs. 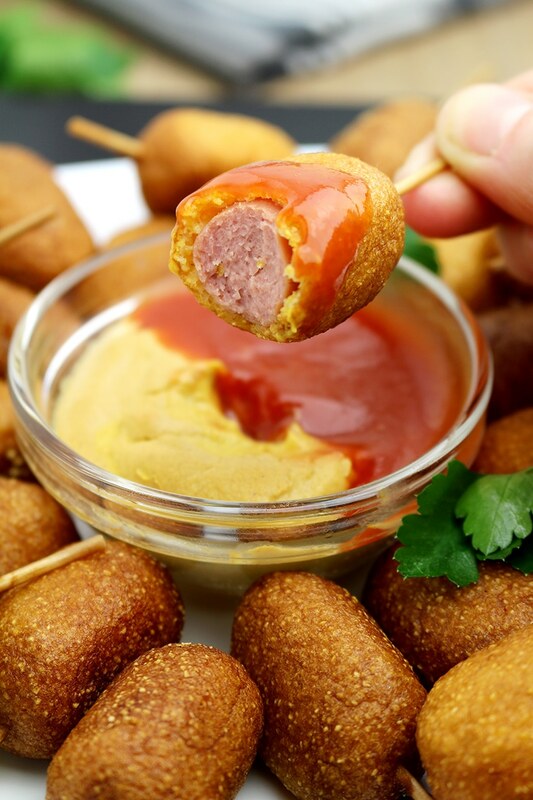 Easy Corn Dog Bites are great choice for a Game day appetizer. Have you thought about a Game day menu? Here are some ideas for quick and tasty appetizers: No Bake Cheddar Bacon Dip or Baked Spicy BLT Dip Recipe. 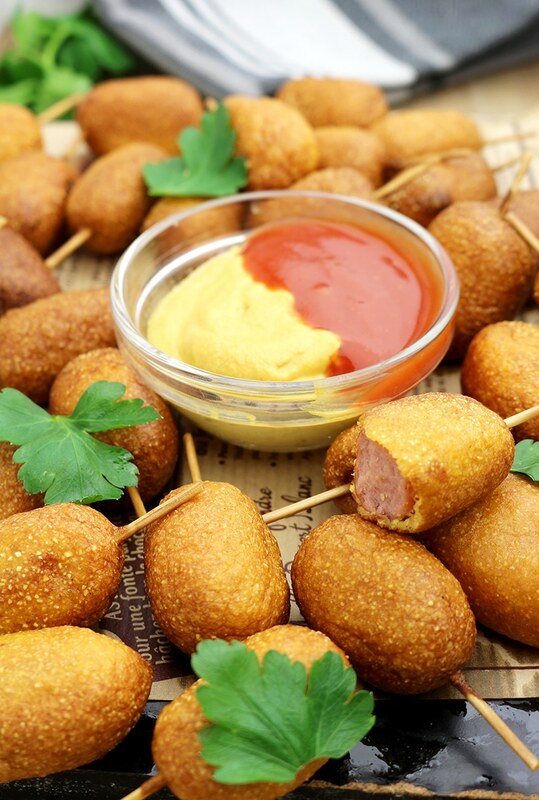 If you are a Super Bowl fan, quick and tasty Easy Corn Dog Bites are great for cheering. Dry dogs using paper towels. Put toothpicks in hot dogs. Set aside. Put paper towels on a large plate. Set aside. Heat oil, up to 3 inches of a pan, to 350 F, using medium heat. In a medium dish combine yellow corn meal, all-purpose flour, brown sugar, baking soda, paprika, pepper and salt. Set aside. In a separate dish mix an egg, yogurt, 1 teaspoon of olive oil and honey. 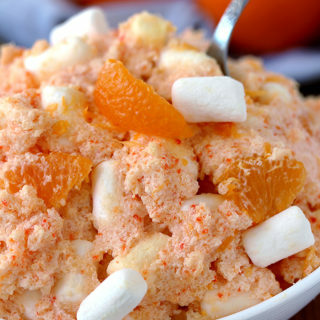 Combine wet and dry ingredients and pour into a deep container or a glass. Dip each dog in the batter, to be covered completely, then take out and shake off excess. Place in the hot oil and fry for about 2 min. Turn the dogs over from time to time until they are golden brown. You can fry 3-5 dogs at the same time. Place fried dogs on the plate. Repeat the same with the rest of the dogs, making sure that the oil temperature is 350 F.
Serve immediately with ketchup and mustard. if you notice that the mixture is too liquid, add some yellow corn meal, some yogurt if it is too thick. 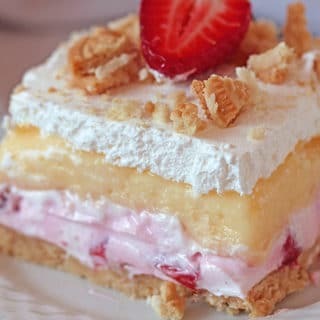 Mmmmm this is so tasty..